Despite a forecast for conditions that could have resulted in large loss of snowpack yesterday, atmospheric conditions lined up just right to not only avoid the loss but actually gain a very large amount of snow-water-equivalent (SWE). Read on for the details, as well as for an example from the spring of 2010 that illustrates a very large rain-on-snow event. As we anticipated the possibility of a rain-on-snow event earlier this week, Ron Abramovich from the Natural Resources Conservation Service reminded me of a large event in the spring of 2010. To give you some idea of the magnitude of that event, the White Elephant SnoTel site received 8.5 inches of precipitation from May 24, 2010 through June 7, 2010. SWE at that site dropped from 13.8 inches on May 24 to 0 on June 2. This means that a whopping 22.3 inches of total water ran off into the upper Henry’s Fork over that two-week period. The spike in streamflow from that event is readily apparent in the following graph, which shows this year’s natural flow to date, average streamflow, and that in water-year 2010, which was a very average year except for the large runoff spike in early June caused by this extreme rain-on-snow event. The total volume of runoff from that event was 325,000 acre-feet over a 17-day period. That’s almost 2 1/2 times the storage capacity of Island Park Reservoir! What happened on March 22, 2018? 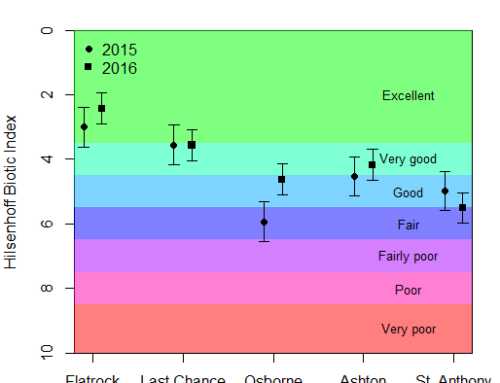 For those of you who do not read my daily water report, here is the chronology of my thinking about yesterday’s rain on snow event, and its outcome as it was apparent from the data on the morning of March 23. These exerpts are taken verbatim from each morning’s report. If you would like to receive these daily reports via email, contact me at rob@henrysfork.org, and I’ll add you to the list. Potentially heavy precipitation is forecast for Wednesday and Thursday. With warmer temperatures, this could produce rain up to the 7,000-foot elevation before a cold front arrives on Friday. This will most likely melt a lot of snow in the valleys, which will result in increased streamflow late in the week. The amount of melting at higher elevations remains uncertain, but I anticipate little runoff response above 6,000 feet because the large amount of relatively dry snow that has fallen over the past several weeks can absorb the rain without much actual runoff. Precipitation is expected to be heavy Wednesday night through Friday, with snow levels peaking near 8,000 feet on Thursday before dropping back to more seasonable levels—around 6,000 feet—on Friday. Precipitation totals over the next five days are forecast to be 0.5 to 1.0 inch in the valleys and as much as 2.5 inches in the mountains. Heavy precipitation and warm temperatures are certain to melt most of the snow currently on the ground in the valleys and will start the process of melt at elevations up to about 7,000 feet. However, I do not anticipate much runoff from the higher elevations. Streams will rise Wednesday evening through Friday from the low-elevation melt, and the National Weather Service has issued a hydrologic outlook for sheet flooding in the valleys as snow melts over frozen ground. The bad news is that the storm forecast for tonight through Thursday night is expected to be warmer and wetter than initially indicated. Snow levels could be as high as 8,500 feet tomorrow, and rain below that elevation could exceed 1.5 inches. A flood watch is in effect from midnight tonight through 6 a.m. on Friday morning. Cooler temperatures will turn the rain back to snow down to valley floors by Friday afternoon. Snow is expected to accumulate even in the valleys over the weekend. The upcoming warm rain will certainly melt much if not most of the low-elevation snow currently on the ground in the Ashton area southward to Teton Valley. However, the effect of the upcoming storm on snowpack above 6,000 feet in the Henry’s Fork watershed is less certain. The timing and trajectory of the subtropical moisture feed indicates that the greatest effect of warm rain will occur in the Central Mountains, especially in the Wood River drainage. The heaviest precipitation is expected to move into eastern Idaho tomorrow morning. The cold front trailing the warm-sector precipitation looks to move through eastern Idaho very early on Friday morning. If we get lucky, the periods of heavy precipitation and warm temperatures here will intersect for only about 24 hours. Because of the steep terrain in the Wood River Valley, melting snow nearly immediately translates into runoff there. 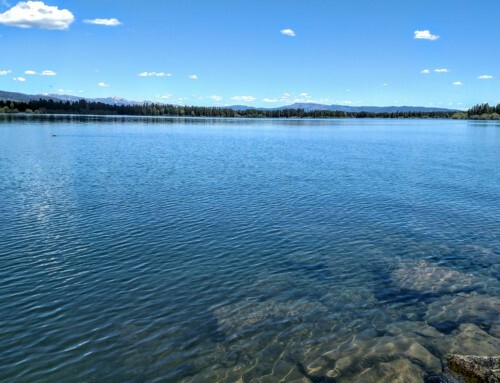 However, in the Henry’s Fork watershed, most of the area at elevations between 6,000 feet and 8,500 feet is relatively flat, particularly that in Island Park and on the Yellowstone Plateau. In these areas, melting snow is less likely to run off into streams, and the existing snowpack may be able to absorb much of the rain before freezing again on Friday morning. 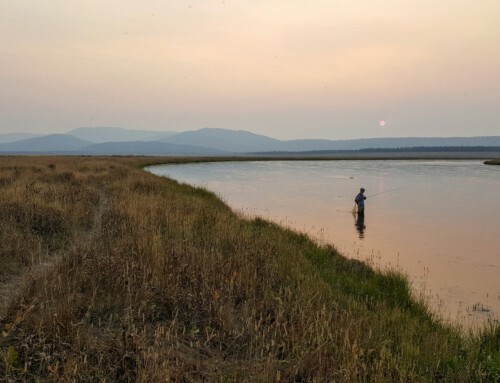 Nonetheless, we could stand to lose some of the existing snowpack in the Centennial Mountains, the Big Hole Mountains and the lower slopes of the Teton Range, which will increase streamflow in the upper Henry’s Fork and in the Teton River. 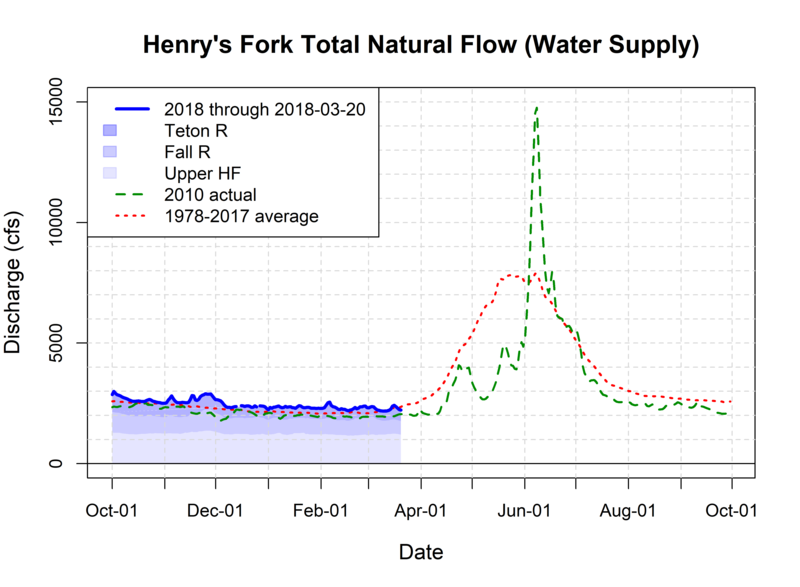 Some of the runoff in the upper Henry’s Fork will be captured in Henry’s Lake and Island Park Reservoir, but runoff elsewhere will just contribute to spill over Milner Dam at the bottom of the upper Snake River system, which is currently at 6,200 cfs and expected to increase tomorrow as flood-control releases from Palisades Reservoir reach Milner. This spill is in excess of water that can be stored in the reservoir system or can be diverted for managed recharge, continuing to illustrate why increased capacity for managed recharge is a priority for water management in the upper Snake River basin. As for the warm temperatures and heavy rain forecast for today, they are still on their way but arriving about 8-12 hours later than originally forecast. Expected precipitation values have dropped a little, and the cold front is forecast to move through our area early tomorrow morning, reducing the intersection of the heaviest precipitation and the warmest temperatures to around 18 hours. Snow level is currently at 6,500 feet, but that is expected to rise to 8,500 feet this afternoon. Around one inch of precipitation is expected at elevations between 6,000 and 8,500 feet this afternoon and evening, with 0.5-0.75 inch in the valleys. I still expect substantial melt of low-elevation snow and increasing streamflow, but the probability of losing a substantial amount of our mid-elevation snowpack is lower than it appeared yesterday at this time. As forecast, yesterday was warm and wet. 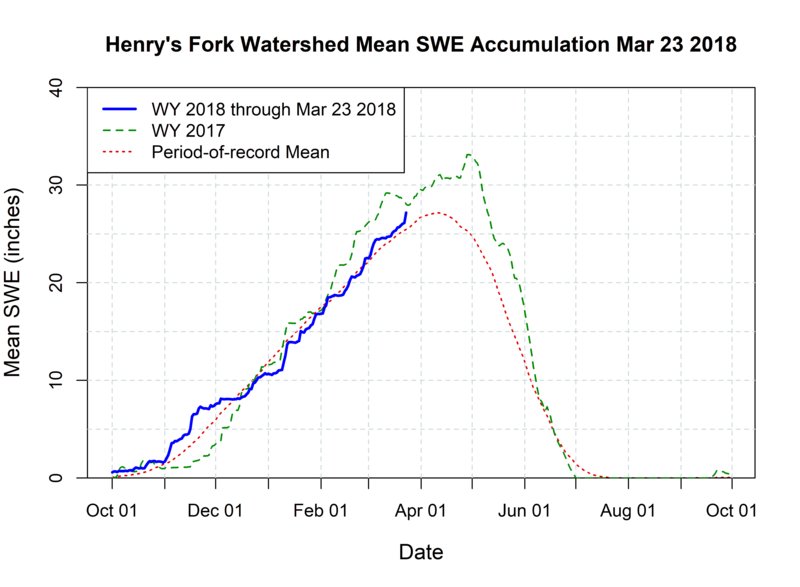 However, as I had anticipated over the past two days, timing and trajectory of precipitation and the trailing cold front were favorable, and the Henry’s Fork watershed came through the event with a very large net gain of SWE at all SnoTel sites. Substantial snowmelt was limited to elevations below 6,000 feet, as I had hoped. Watershed mean temperature was 36 degrees F, only 4 degrees above average, and temperatures remained fairly steady in the mid- to upper 30s throughout the afternoon and evening. Precipitation was light until the evening and was heaviest from 5 p.m. to 11 p.m., by which time snow level started falling. The greatest impacts from the rain-on-snow event were experienced in the lower watershed, in and around St. Anthony and Rexburg. Precipitation exceeded 0.6 inch and fell earlier in the afternoon, melting all remaining snow and causing extensive sheet flooding on ground that was still frozen. Ashton also received 0.6 inch of precipitation, but it fell later in the evening. Surprisingly, most of the snow here in town is still on the ground this morning, albeit with a much greater water content than yesterday at this time. Elsewhere, precipitation totals ranged from one-third inch at Alta to 2.1 inches at Crab Creek SnoTel in the Centennial Range. For the most part, new SWE accumulations reflected precipitation totals. Existing snowpack was able to absorb most of the rain at the low and mid elevations, and precipitation fell as snow at the higher elevations throughout most of the event. New SWE accumulations ranged from 0.3 inch at Island Park to 1.8 inches at Phillips Bench (Teton Pass). As of midnight, water-year precipitation increased from 98% yesterday to 102% of average. More importantly, SWE increased from 103% to 107% of average. Watershed-averaged SWE is now 27.2 inches, which is equal to the mean peak SWE, usually attained on April 11. In other words, we now have our seasonal average SWE on the ground, with three weeks yet to go before the date of average peak accumulation (see graph below). Given a forecast of more snow and cooler temperatures, we are now essentially guaranteed that April 1 SWE will be above average and season-peak SWE will be at least average. More precipitation has fallen since midnight, and all of that was snow at elevations above 6,000 feet. Snow continues to fall north and east of Ashton this morning. Two-day storm total SWE and precipitation will be higher than the 24-hour totals reported above. Streamflow did not respond to above-freezing temperatures during the day yesterday and started to rise only very late last night after the heaviest rain began to fall. Teton River has already peaked this morning at around 1,300 cfs at the St. Anthony gage. By comparison, the record daily flow for this date is 1,700 cfs, recorded last year. 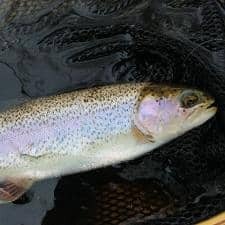 Fall River and the Henry’s Fork are still rising this morning, but I anticipate them to peak by early afternoon. So far, Fall River at Chester has risen from 490 cfs yesterday afternoon to 650 cfs this morning, a very modest increase. All in all, we came out of this event better than we entered it and much better than what could have happened under the worst-case scenario.